FAG Control 839 from FAG Digest Magazine 2/1967. FAG Control 839 from a FAG Digest Magazine 1/1966. 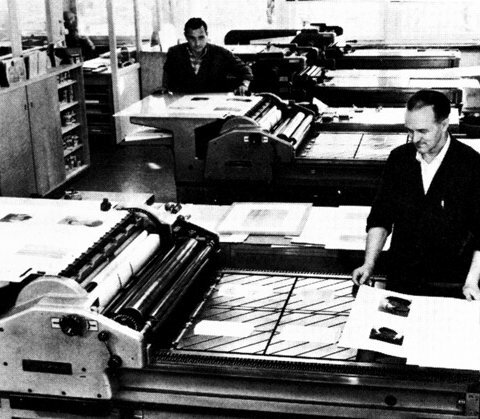 3 FAG Control 839 Proofpresses at Buchdruckerei Gasser & Co. in Basel, Switzerland. From FAG Digest Magazine 1/1967. 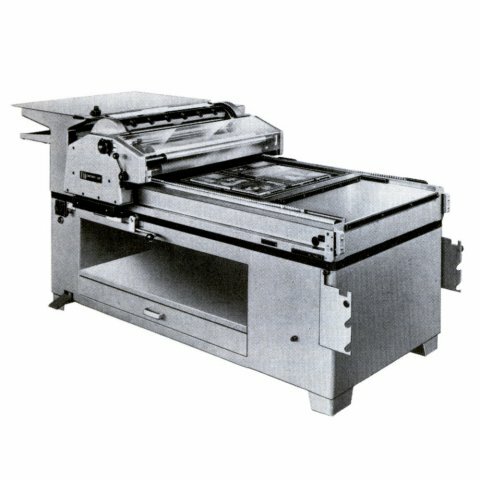 FAG Control 839 with register base plate RFP. From FAG Digest Magazine 2/1967. The FAG Control 839 was an optimized version of the FAG Control 835. 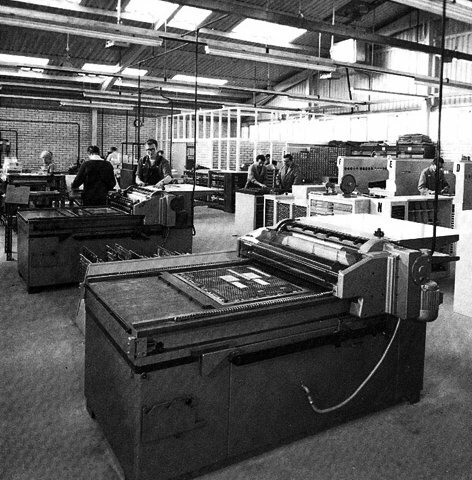 Since the FAG Control 835 has been developped in Singen, Germany and been produced in Singen first and later in Avenches, Switzerland, it had to be optimized for production in Avenches. Thats when they developped the FAG Control 839 in 1964 in Avenches. 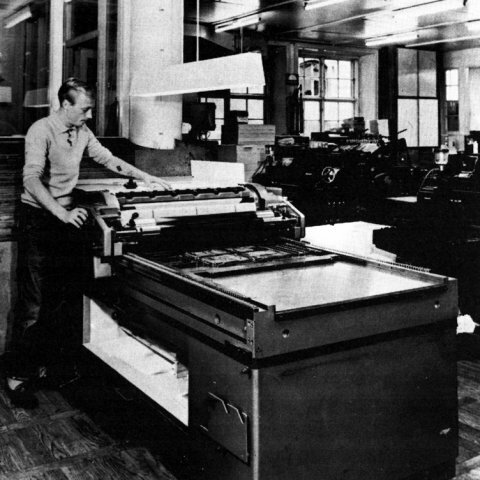 It was actually almost the same press in almost the same size as the C-835, just with some little adjustements for production.